I spent last week dotting some i’s and crossing some t’s for Christmas preparations, but I’m finally in a spot where I can relax a bit. Shopping is done, gifts are organized (but not yet wrapped), Christmas cards are finally sent (no thanks to Tiny Prints, whose post-Shutterfly purchase system was beyond annoying), and school activities are over. I’m hoping to get some good reading in this week and enjoy the holidays! If you’ve still got some holiday shopping to do, check out my Best Holiday Gifts for Book Lovers 2017! I’ve got you covered with book recommendations, the gift for book lovers that keeps on giving, and bookish gifts that aren’t books. Best of all, you can get all this stuff without leaving your couch! Finally, I posted my Best Books (hint: they’re different than the literary critics’ picks) and Best Debuts of 2017 lists and have one more coming (Best Audiobooks I Listened to in 2017). I also have Which Best Books of 2017 Lists Do You Agree With? coming on Tuesday…with a free download to help you find your Go-To and No-Go Bookish Media Sources! You know those books that you have structural issues with, but you still can’t put down? Well, Grist Mill Road was one of those. Also, once you realize what the cover means, it’s absolutely chilling. Mini review coming. 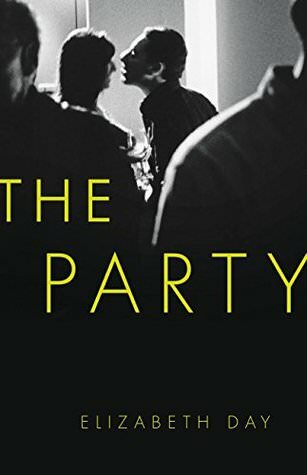 I’m about 70% through this psychological story (notice I didn’t say thriller…it’s definitely not one) about two British, school friends that culminates at one of their 40th birthday parties. It’s decent, but I’m not dying to get back to it. However, I am intrigued enough to want to see how it ends. This essay collection by the author of Glitter and Glue comes recommended by Annie Jones at From the Front Porch podcast, one of my Go-To Recommendation Sources. One Year Ago: It was the day after Christmas! Two Years Ago: I finally read The Handmaid’s Tale! Looking forward to your best audiobooks list! I need to spend an entire day working on my best of posts, I’m so behind but life has been busy lately. Grist Mill Road fell apart for me in many ways but I’m glad to hear it worked for you. I hadn’t heard of Tell Me More but it sounds right up my alley so I’ve already went to net galley and put in a request. Hope you get a lot of relaxing reading in this week! 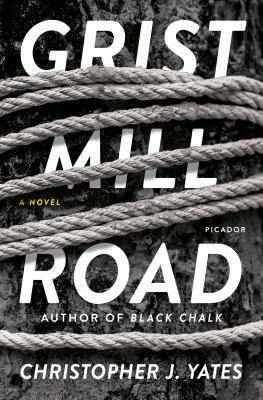 I hear ya on Grist Mill…I wouldn’t say it fell about for me b/c I still couldn’t put it down, but I was noticing structural issues as I was reading. It was a solid story, though…just wish it had been told a little differently. I’m almost halfway thr Tell Me More and it’s great! Very much a “speaks to me” kind of memoir. I’m working on Beartown–slow start but it’s really hard to put down now! Keep going…I promise, it’ll pick up! That pick-up will kind of smack you in the face! Isn’t it great to have all the Christmas shopping done? Have a great week and I hope you get lots of reading time in. I’m almost halfway through and it’s great so far – she’s speaking to me! And the Best of post is scheduled – check in tomorrow! 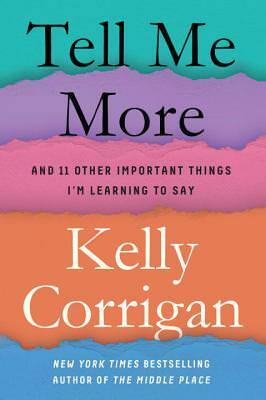 I’m kind of over Corrigan so I’ll be anxious to see what you think of Tell Me More. This is my first time reading her, but I’m enjoying it so far! YAY for Christmas shopping being complete; the wrapping is (finally) done for me, but I tend to procrastinate the longest on that one – ha! I do not really enjoy wrapping; I’m not creative and it seems so time-consuming. Oh, well; I hope you get tons of reading time this week! Ugh – I know. I feel like it’s an utter waste of time…and I’m terrible at it. I don’t use ribbon (because why?) and it looks like my kids wrapped their own presents! Plus, I have to find a big time window when my kids are out of the house. I enjoyed Glitter and Glue, so I may have to read Tell Me More. Grist Mill Road sounded good…until you mentioned “structural issues.” I might have a problem with those. I’m curious about The Party. You know, the GMR story was a great one and I seriously couldn’t put it down. But, I was picking out flaws as I read. Sounds like you are organized for Christmas. I am starting to be. I have been concentrating on reading 2018 releases because, like an idiot, I stacked about 30 that release in January and February. Come see my week here. Happy reading! Oh wow – good luck! You are certainly well organised for Christmas. I always enjoy seeing what readers deemed their best reads in a year. A couple of yours are on my want to read list so always good to see another reader has loved them. I’ve been reading at a snail’s pace the last few weeks, but right now I’m most of the way through What Happened by Hillary Clinton and I just started Just Mercy. I’m also about halfway through The Natural Way of Things, but I got distracted and kind of dropped it for a while. It’s good, but really intense. Not the sort of book I would normally go for at Christmastime. Hmmm…that makes me more curious to finish reading it. Well done getting your shopping finished! Mine is as well, although I’ve had to do a couple of last-minute things to replace gifts that didn’t work out, and now all that’s left is to make a very large amount of Christmas cookies. Then I’ll be all set and I can relax and read through New Year’s!